Ok, there are two parts to this blog. First, the Travel Blogger part. Ya’ll know that I do a lot of vision board and goal setting in my life. And I am pretty darned good at making my goals come true. The one part that seems to escape me is my unquenched desire for more travel. I want to see the world. I want to have adventures and experience new cultures. But finances, kids, life keep getting in my way. Recently, I was doing a social media post about the power of the two words: “I AM”. I said that “I am” are two powerful words, for the way you finish that sentence shapes your future. For instance, if you say “I am a runner” then you set yourself up to run. It’s much more powerful than I want to run. All of the sudden, I realized I needed to create a new “I am” statement for myself. I am a travel blogger. I kind of giggled when I said it. But why not? If I say I am, then I need to travel. Plus, one of my other goals this year was to learn photography. Jason bought me a nice Canon camera but I had yet to use it. When was the last time you learned something new? Let me tell you; it’s not as easy as I had hoped. So, I needed an opportunity to test out my camera and photo editing. I’m hoping the quality of my images improves. Just remember, everyone starts as a beginner. Well, lucky for me, I had a trip around the corner. So, my friends, here is my first travel blog. Last summer, we said we were going to go on a couples’s weekend every quarter with our dear friends Andrea and Andy. Well, our first quarter turned into six months but who’s counting? Our friends Chris and Kristen decided they were all in on this getaway. I am our travel planner (because don’t forget, I’m a travel blogger). 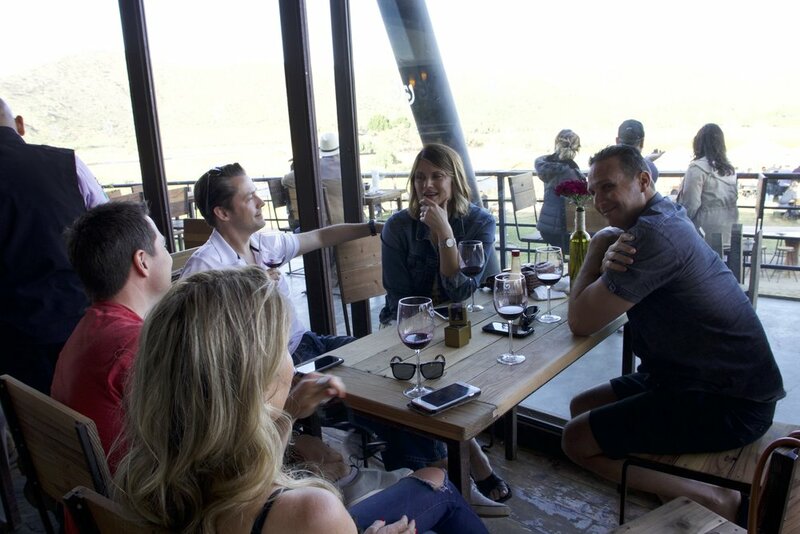 We all wanted to explore the wine country of Valle De Guadalupe, known as the Napa Valley of Mexico. It’s just about 2 hours from San Diego. Seriously, if you live in San Diego and you drink wine…you have got to go! 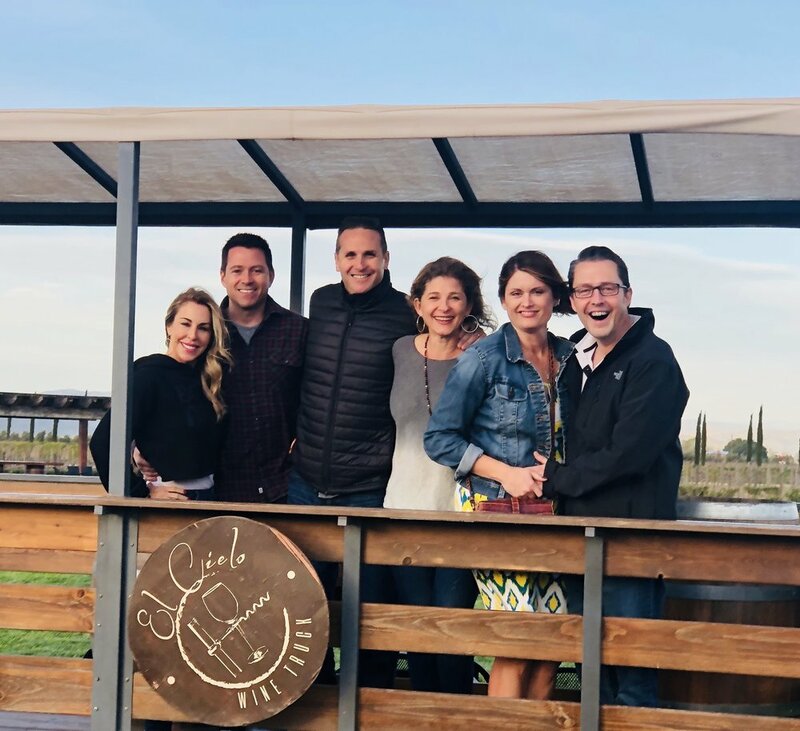 We all agreed that we had no desire to drive into Mexico, so I was happy to find Baja Wine and Dine Tours. Ray (the owner) was great at helping us plan a perfect weekend. We agreed that we wanted to see smaller, less touristy wineries. Luis was our driver and picked us up in San Diego on Friday afternoon and took us to Puerto Nuevo on the way to the Valle. Puerto Nuevo is an easy 1 hour drive from San Diego. First stop, Mexican Lobster at Villa Ortegas. 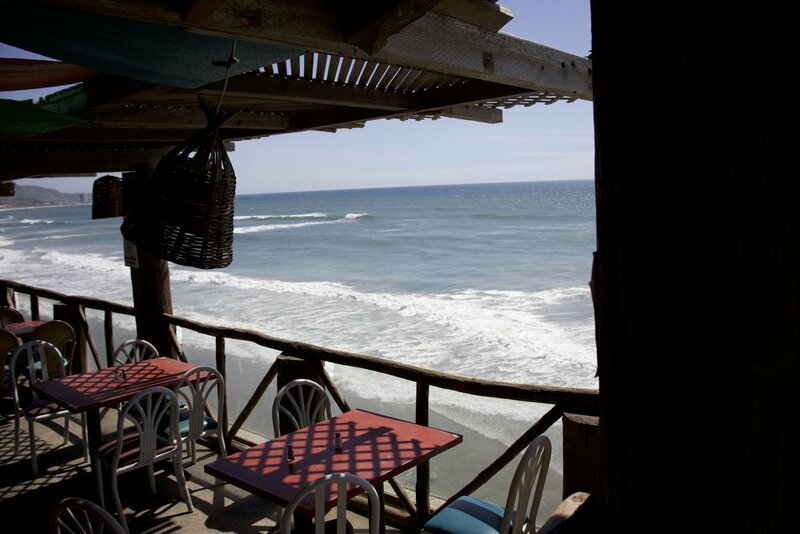 It’s a gorgeous ocean front restaurant famous for their baja lobster. This place is a great stop to taste some local lobster, complete with giant homemade tortillas, beans, rice, the works. The tortillas are HUGE! And their margaritas are mucho delicioso. This was such a great way to kick off the weekend and break up the drive! We stayed at a new resort called El Cielo Winery. They have beautiful villas set upon a lake. The rooms and amenities were 5 star. The service was excellent; complete with our own butler. We ate at their restaurant both nights knowing we would be tired and just wanting to chill with friends. Luis picked us up after our delicious breakfast at El Cielo. First stop, cheese tasting at Los Globos. It’s a sweet little shop that sells homemade cheese, olives and jams. They were super helpful and gave us a great education about the cheeses. Now, let’s get the wine tasting going. First stop, Don Tomas. I think this may have been our favorite place. One, we were the first ones there. It kind of felt like we had the winery to ourselves. We LOVED the wines. It was quiet and beautiful and not at all touristy. I found out after that we should have tried the carnitas and grilled oysters. So, can you try them for me? Really, this place is a gem. Next stop, Solar Fortun. If we didn’t have Luis, we never would have found this place. Crazy long dirt road. Definitely part of the experience! But then, you find this beautiful vineyard in the valley. It’s set beneath beautiful oak trees. The owner and his son made us feel so welcome. They were gracious and kind. Felt like family, not a business. We loved the wines, the atmosphere and the tree swing! I heard the food was great, but we were saving our appetite for lunch! I chose our lunch place as I have heard such great things about Deckman’s. We are talking true farm to table. The entire restaurant is outdoors. The grills are spectacular. We did the tasting menu and were delighted to try everything from oysters to ceviche, quail and more. Drew Deckman is a Michelin star chef, who created a truly unique rustic restaurant with fully open kitchen, hay bales and tin roof for enclosure. It’s a must try! And our final stop was Decantos Vinicola. This was by far the most substantial but also touristy of the wineries. Beautiful building and backdrop but very crowded. To be honest (I’m supposed to be honest as a Travel Blogger right? ), it was our least favorite wine. Sorry guys. But your chocolate…that was pretty amazing! We wrapped up the night back at our hotel. So much laughter. Such deep appreciation for such good friends. And such deep appreciation that we all wanted to go to bed early! Luis picked us up the next morning and took us to the BEST breakfast place Doña Esthela! Again, I would NEVER have found it without him! The bumpy road was again part of the adventure. I was amazed to find this place so packed when you consider the travel to get there. But it was packed! Get the corn cakes and the special coffee! And that was it. Luis took us back to the border. The ONLY downside of the trip was crossing over. The wait was so long that we decided to get out of the car and walk across the border. Just be prepared that it’s going to be a long wait if you head back on a Sunday. We know we want to go back; so we are all applying for a Sentri pass. 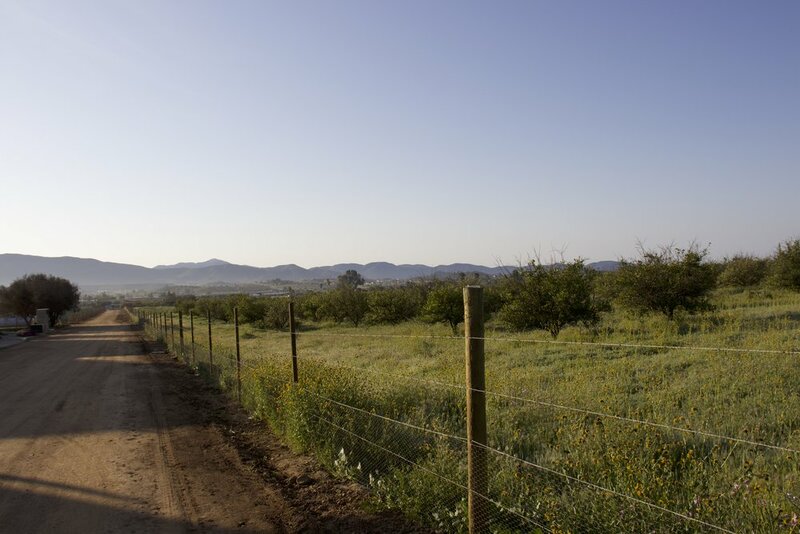 Definitely check out Valle De Guadalupe! Can’t wait till my next trip…because I’m a travel blogger!